I’m fascinated when tradition gets tested by modern science and comes out standing. I’d cheered when acupuncture was shown to be effective for chronic pain. Now, I’ve learned that America’s Test Kitchen, which publishes Cook’s Illustrated, has subjected challah to its test kitchen experimentation. The results: pretty much what you’d learned from your mother and grandmother (or would, if you had one). * For the kosher bakers: they also tested oil and found that it did not add much flavor. But, you already knew that. 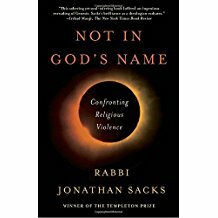 This yields one large loaf, which is not enough for the average Jewish household in which Shabbat is observed and one would need two whole loaves for each meal. Methods for braiding the challah were also tested and they preferred the trompe l’oeil method (which I’d discovered on my own but has abandoned) of topping a large three-braid loaf with a smaller three-braid one. 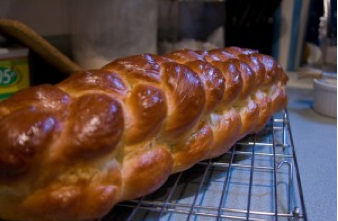 Reviewed by Hannah, who usually makes a pareve, vegan, German-style challah for Shabbat.